Crowdsourced, personalized, and cheap–it’s a yearbook for the Internet age. Technology gives, and technology takes away. The digital age has brought us so much–tablets! Facebook!–but as a result, old and declining technologies seem to be walking around with targets on their foreheads. This is increasingly true in schools, which have been jumping on the digital bandwagon of late. Each day seems to bring a new report of how the iPad, for instance, will be ousting an obsolete paper-based technology: the textbook, the notebook. And what of the yearbook, that paper-based technology that almost seems designed to be obsolete? When we flip through them, it’s to laugh at the past, its funny fashions, its dated buzz phrases, its unfortunate braces. Surely Facebook, which keeps people in touch and helps them share photos and memories, has delivered the fatal blow to that annual compendium of awkwardness that is the yearbook? Think again. A company called TreeRing offers what it calls “yearbooks for the Internet generation”–actual, printed, physical books, albeit with a digital twist. 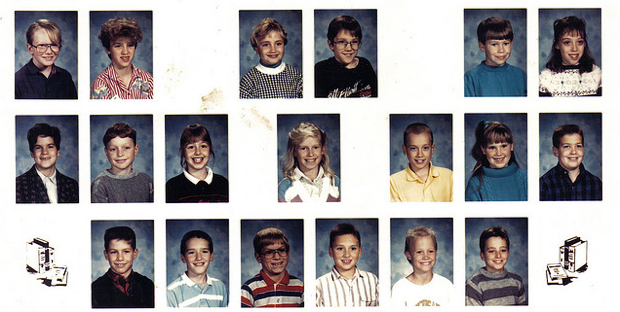 A traditional yearbook is made entirely by a school’s self-selecting squadron of nerds. TreeRing’s yearbook brings everyone in on the fun. While 80% of the yearbook is still made by the school’s yearbook team, 10% is crowd-created. The books that go out, then, are 90% identical. What about the remaining 10%? At the high school I graduated from before Facebook was a gleam in Mark Zuckerberg’s eye, only the seniors counted themselves lucky enough to get half a page to create themselves (with maybe a bit of extra vanity content in the form of embarrassing advertisements bought by grandparents). Underclassmen got nothing. But in the Facebook-enabled age of self-casting, such a meager fraction simply won’t do. To that end, the final 10% of TreeRing’s yearbook is personalized, created entirely by the individual who will wind up with that particular book. It’s all managed online, with simple drag-and-drop tools, and you can source your photos from places where they’re already likely to be: Facebook and Flickr, for instance. The Internet, vanity, social media, crowdsourcing–TreeRing has all the major bases of modernity covered, then, right? But something’s missing… Oh, right: green cred! Don’t worry: TreeRing plants a tree for every book sold. The whole scheme winds up saving everyone money, too, because TreeRing only prints as many copies as are demanded. A slim, 20-page softcover can cost as little as $10 or less (though a more standard bulky hard-cover, hundreds of pages long, can run up to $60 or considerably more). A virtual copy of the book lives online, meaning even if they lose their printed copy, your classmates can still laugh at your dated hairdo years hence.